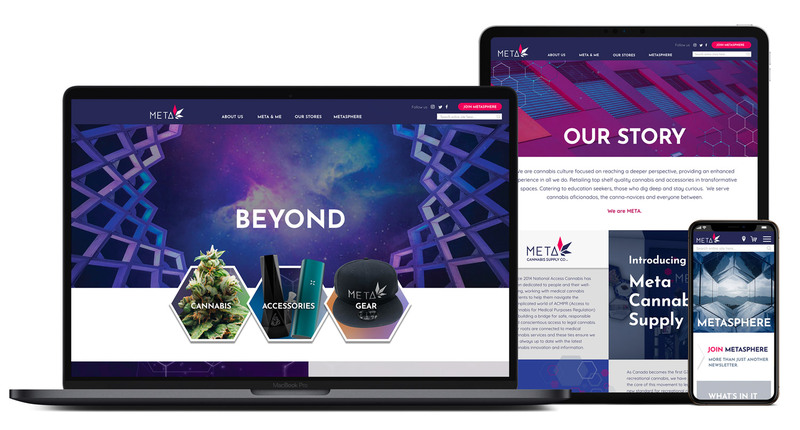 National Access Cannabis (NAC) required a responsive website for their retail division, Meta Cannabis. 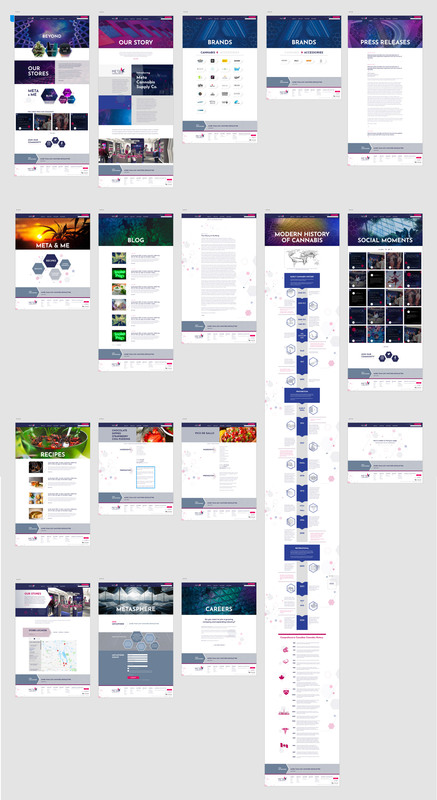 The challenge they proposed was to develop an interface that suited their brand that also had to absolutely comply with the strict, constantly changing government regulations regarding the marketing of retail marijuana. 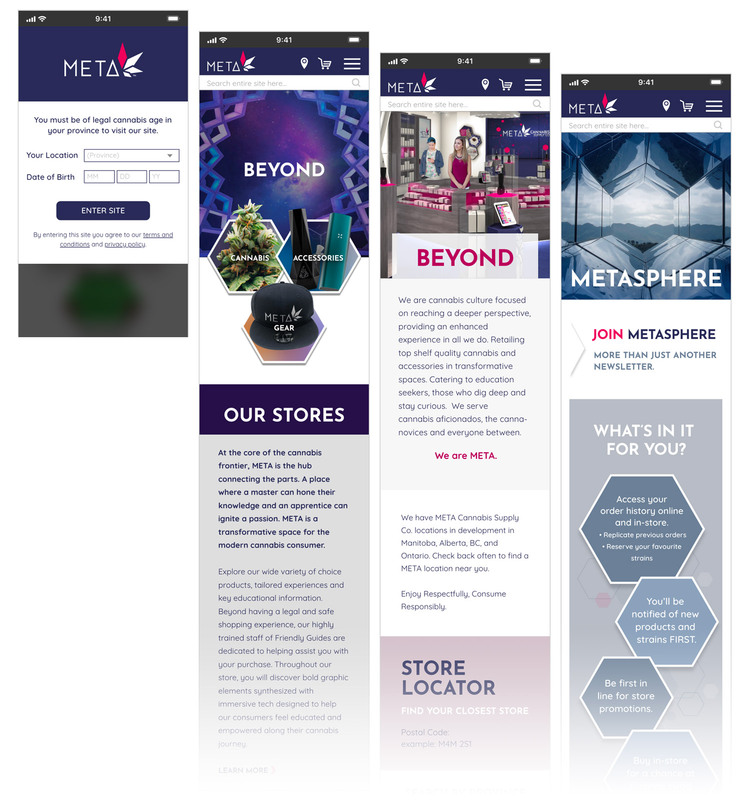 Weeks of research and study resulted in the MetaCannabis.com site, which was launched with great client satisfaction, within regulations, and on time to take advantage of the launch of legalized marijuana. Fitness Depot, one of North America’s largest exercise equipment retailers, required inspiring, energetic campaigns over the winter months to motivate consumers to achieve their fitness goals. 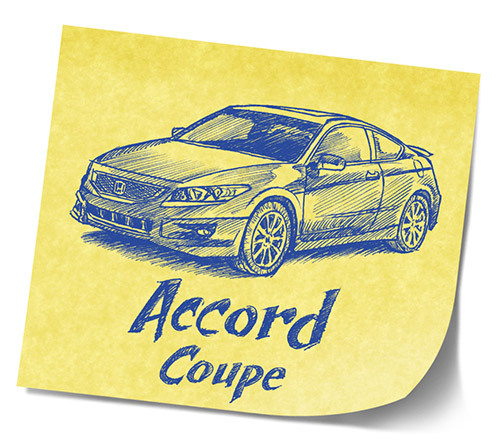 The following creatives were devised in both English and French, for Fitness Depot’s e-commerce site in Canada and the U.S.
A video greeting card for family and friends. Henry’s Camera’s online strategy included the creation of video tutorials that can be shared through social media. 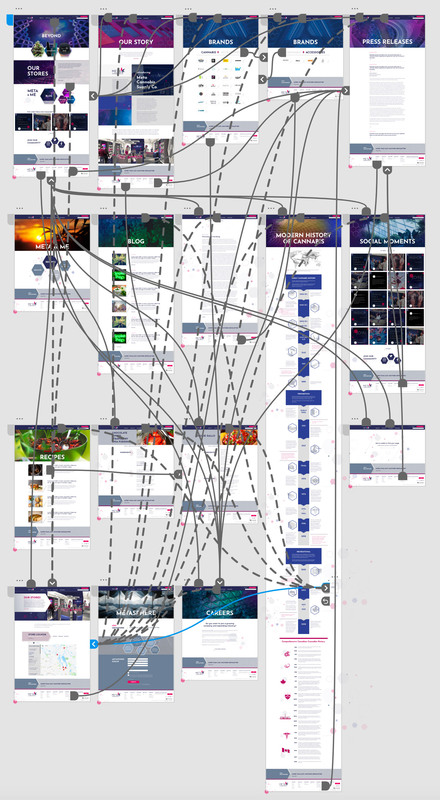 I was selected as the creative lead for this project for my knowledge of photography and my ability to visualize and simplify complex technical concepts. 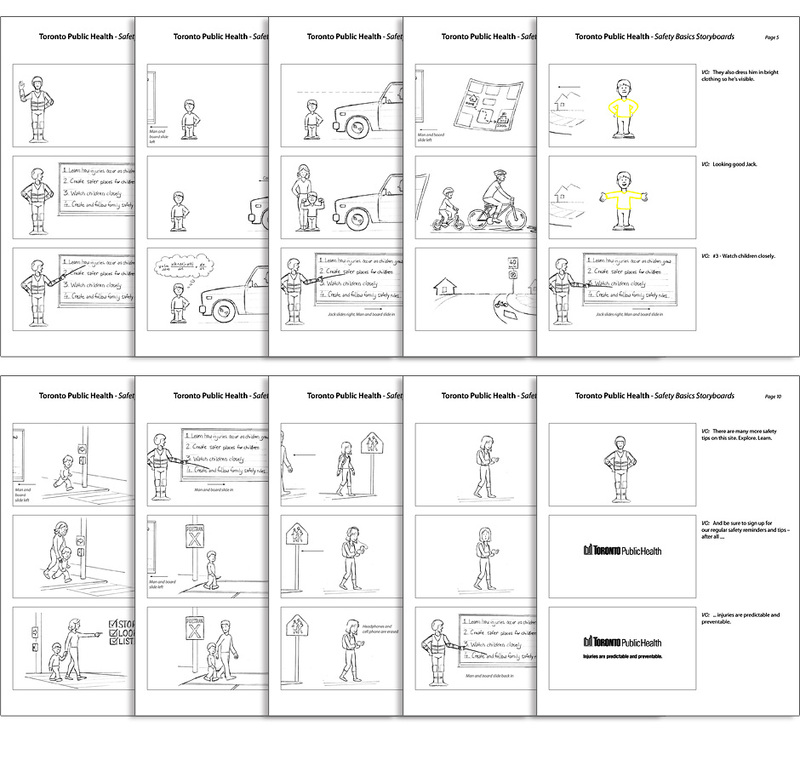 I devised the structure for the tutorials, wrote the scripts and created the storyboards for a series of Henry’s “1 Shot 3 Ways” videos. 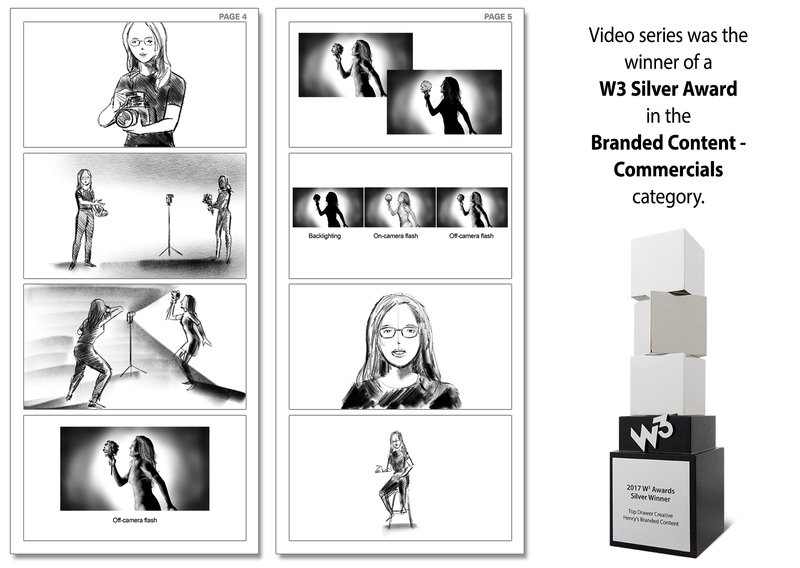 This set of tutorials helped Henry’s win a W3 Silver Award in Branded Content – Commercials category. 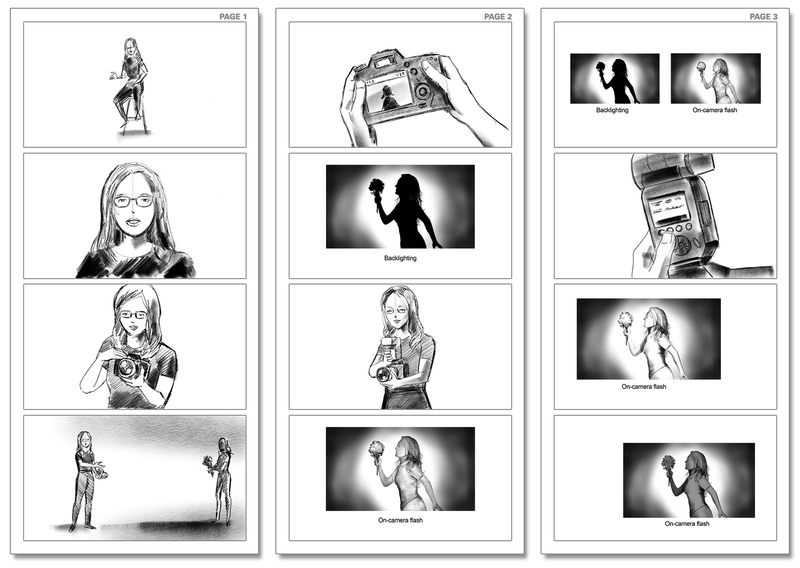 The following are the storyboards for the “1 Shot 3 Ways” lighting tutorial featuring photographer Lori Waltenbury. 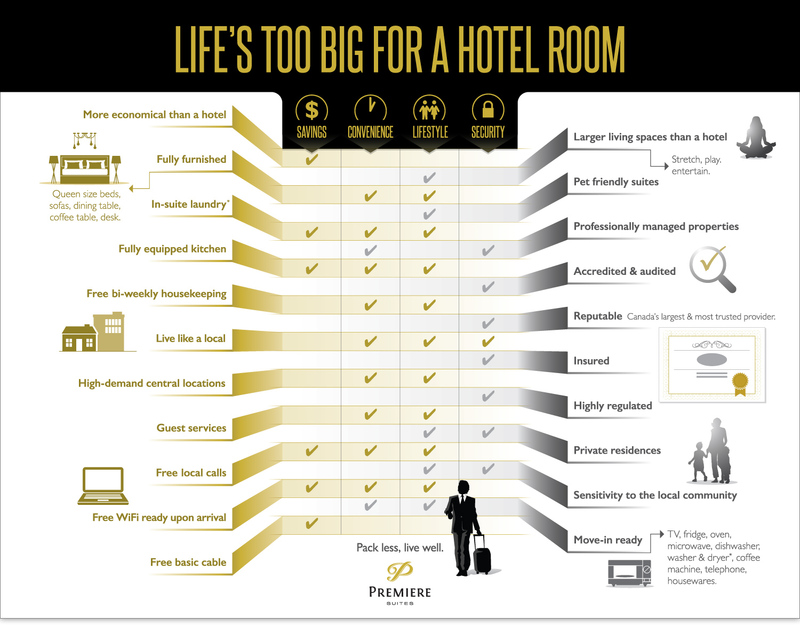 Art direction, design for Premiere Suites infographics. 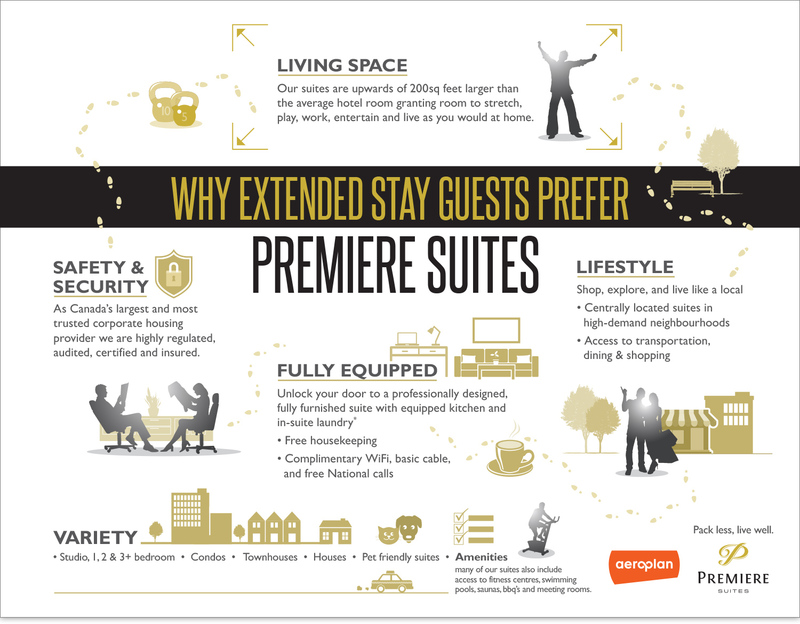 Premiere Suites, Canada’s largest corporate housing provider, needed information to be presented in a creative, visually-appealing manner that reflected the lifestyle aspect of their business. 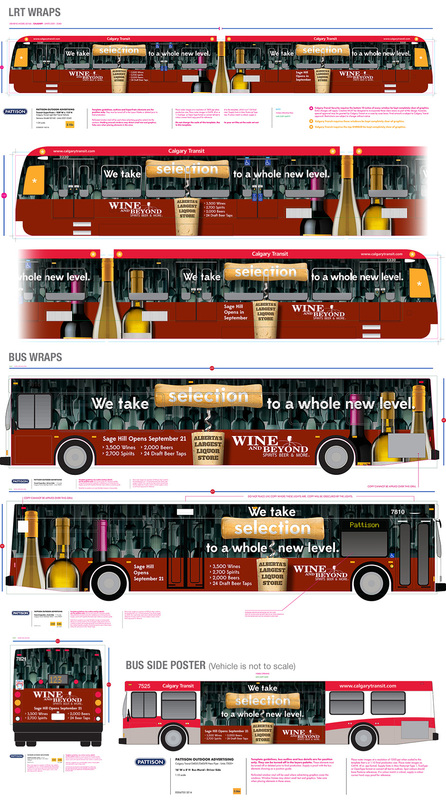 The following infographics organized their data into simple, logical formats that is both professional and playful. Enwave Energy Corporation, one of North America’s largest energy district systems, channels cold water from Lake Ontario to cool office buildings in Toronto. 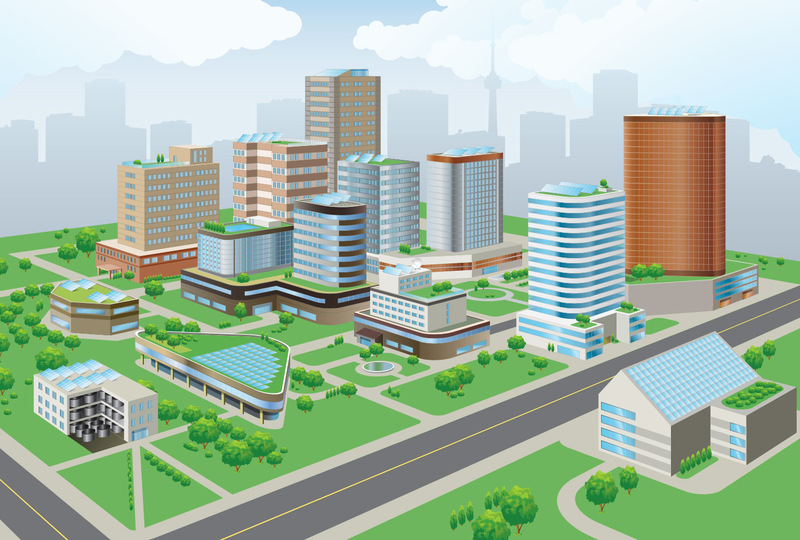 They required a clean, vibrant graphic to showcase their distribution of thermal energy in a simplified, friendly style. 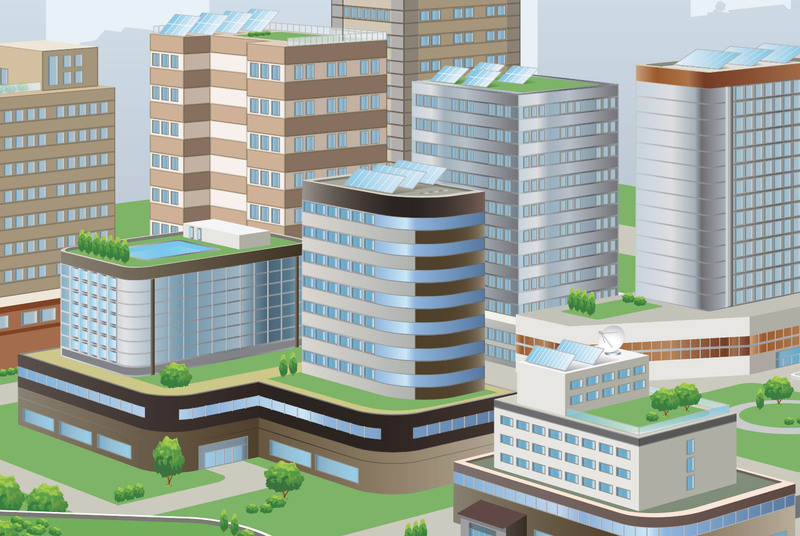 The following vector illustration depicts Enwave’s goal of an utopian near-future where urban energy needs are met in a sustainable, environmentally-conscious fashion. 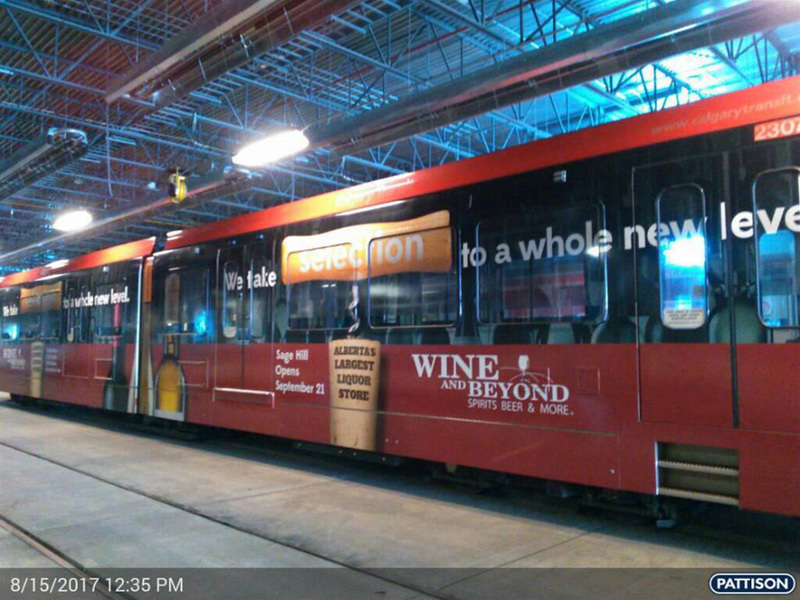 LSNA is North America’s largest publicly traded liquor specialty retailer. 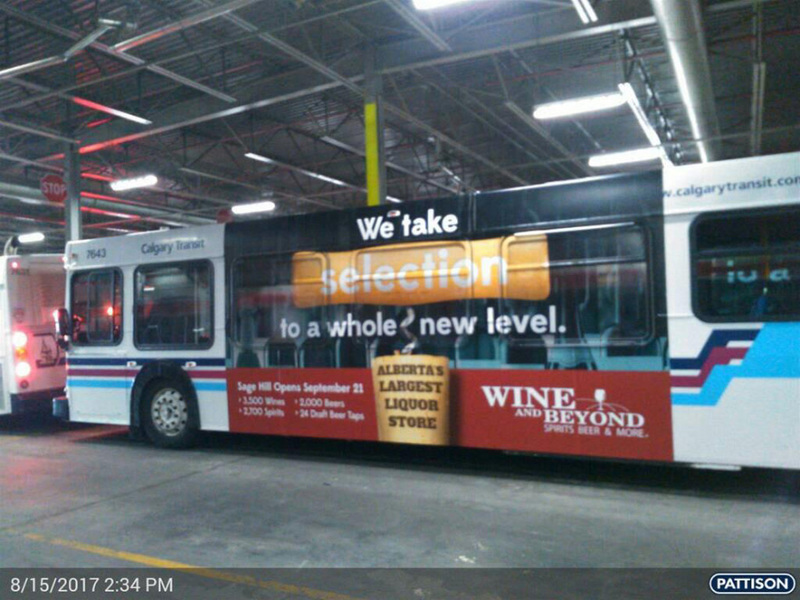 When LSNA’s Wine & Beyond branch opened the largest alcohol retail store in Alberta, they needed a bright and bold campaign to proclaim their industry-leading wine selection. The following designs focus on variety and selection and deliver the message in a clear, eye-catching style that stand out on city streets. 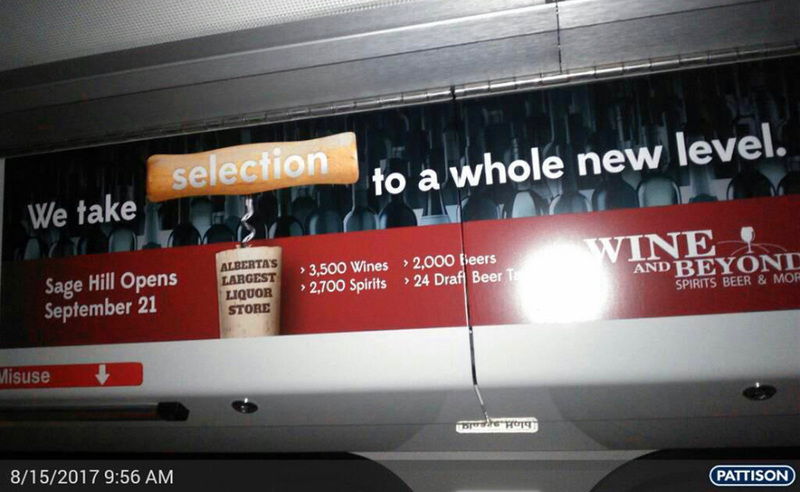 LSNA’s Liquor Depot branch wanted to inform Alberta residences of the great services its stores had to offer. Three humorous and lively 30-second television spots were created to brand Liquor Depot on “Price”, “Convenience” and “Delivery”. The following commercial is “Convenience”. Art direction, design for Guest Ninja logo. Guest Ninja is Premiere Suites’ customized CRM software tool designed specifically for the hospitality sector to handle properties, guest services, leads, sales tracking, analytics, and communications. The logo has to be fun, approachable, animated and one-colour, and must be able to sit cleanly on the top left corner of a computer screen. It will also be used on various promotional items. The logo depicts a cartoon ninja in a bowing, welcoming stance, ready to greet a guest. The shapes are large and black to show strength and professionalism, yet soft with gentle curves to convey approachability and friendliness. The logo is simple with a unique shape that is easily recognizable, and works well in all sizes. 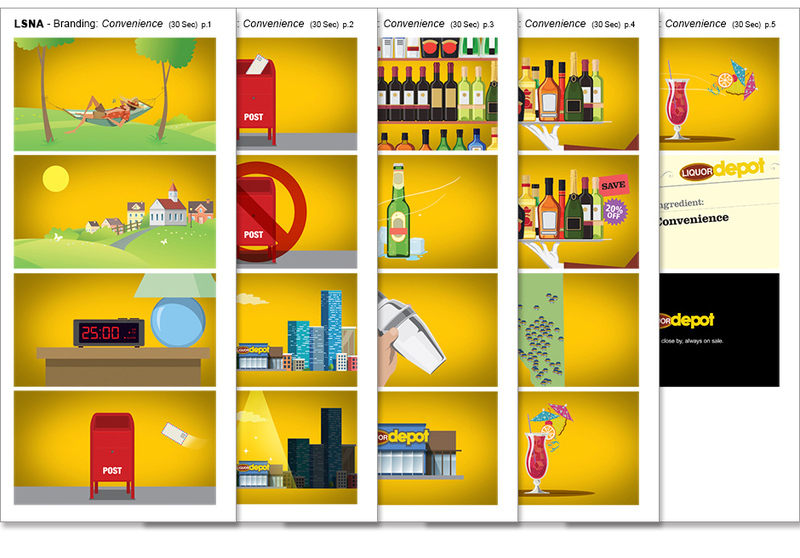 Art direction, illustrations, photo retouching for Top Drawer Creative; client: Honda Canada. 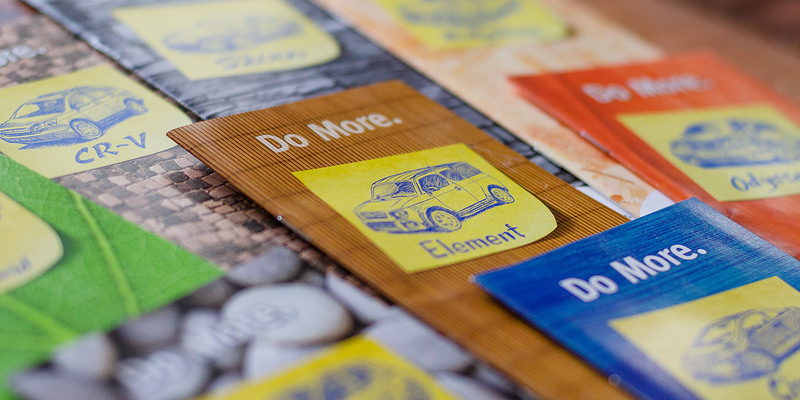 Honda Canada wanted bright, whimsical design elements in their brochures that made their cars feel more relevant to the everyday lives of drivers. 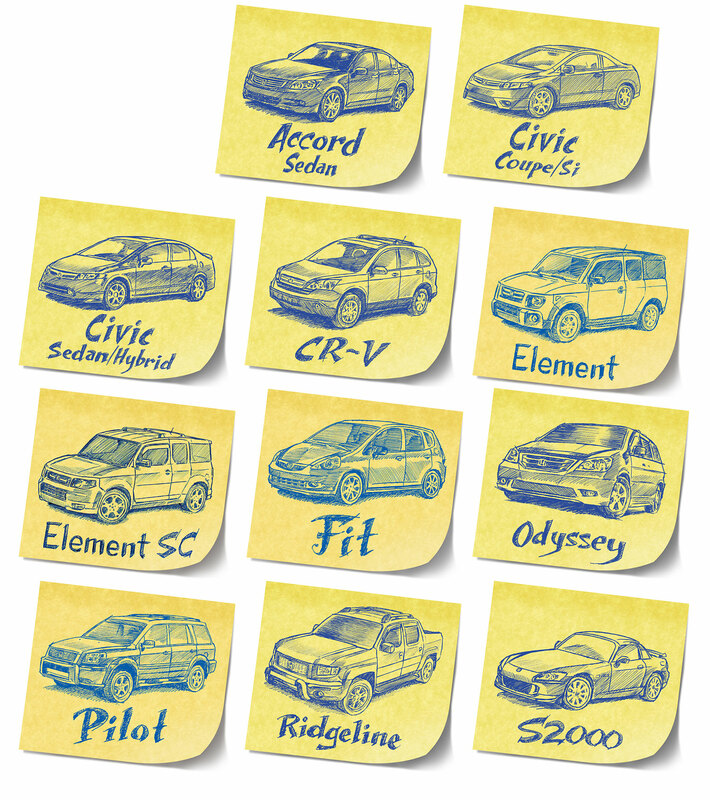 These doodle stickies were developed to create a personal and creative touch to the Honda cars. 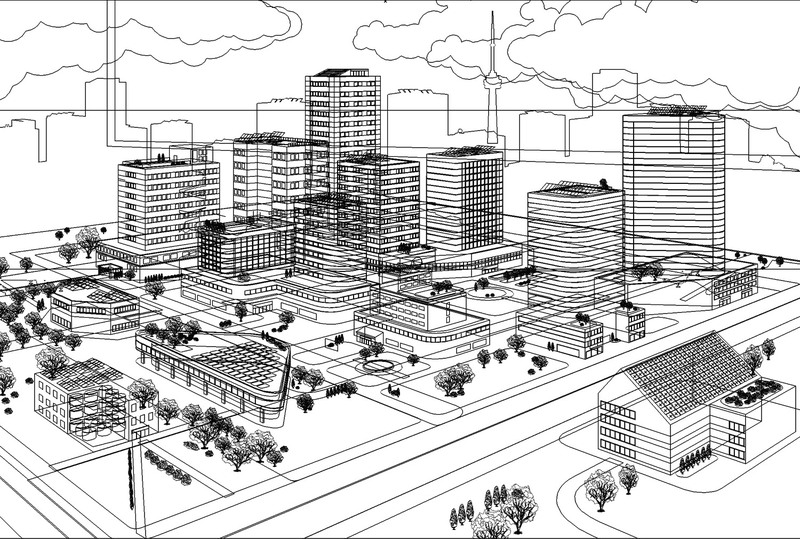 Art direction, storyboards, and illustrations for Toronto Public Health’s Pedestrian Safety Basics video. To combat the troubling rise in pedestrian injuries and fatalities with motorists, the City of Toronto needed a method to communicate safety basics to parents and children. This animation was created to delivery a serious message in a fun, entertaining manner that both adults and kids can enjoy. The video was shown in community centres, schools, and movie theatres, and was met with very positive praise from teachers, parents and children.